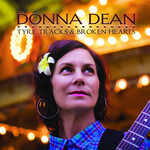 While the title of this album might look like an easy and reflexive nod to earthy country music and it's brokedown traditions, you need only flick straight to the second song Twister to be persuaded that Donna Dean is someone special. A true New Zealand hidden treasure, a bounty that's about to be discovered by the rest of the world. Her songs are little pictures that live in between the cracks, in those small places we all recognize as part of ourselves. They take us down the backroads of our lives, away from the crowded highways of mainstream music. This is Kiwiana at its best.